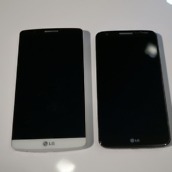 After running through a quick overview and tour with the LG G3, here at one of the satellite press events, we also took a couple of minutes to compare the size of the device to most of the flagships currently available. 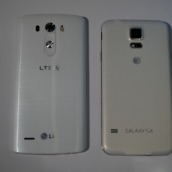 We somehow forgot to compare the G3 to the HTC One (M8), but did put it side-by-side with the LG G2, Samsung Galaxy S5 and Galaxy Note 3, and Nexus 5. 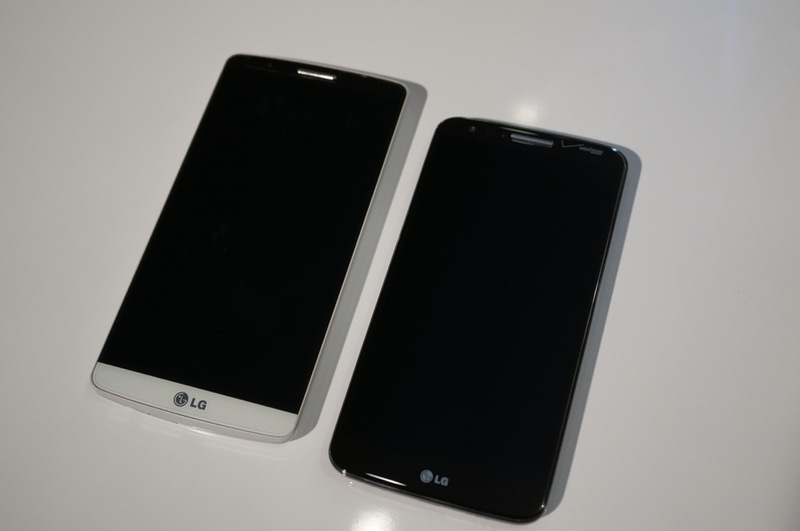 As noted in the overview video, the phone, even with its 5.5-inch display, feels really great in hand. 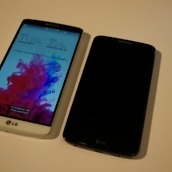 It’s big, that’s for sure, but it is certainly manageable for a big device. 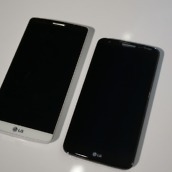 You will most definitely have to shimmy the phone in your hand from time-to-time to get up to the notification bar, but that move comes standard with almost every phone these days. 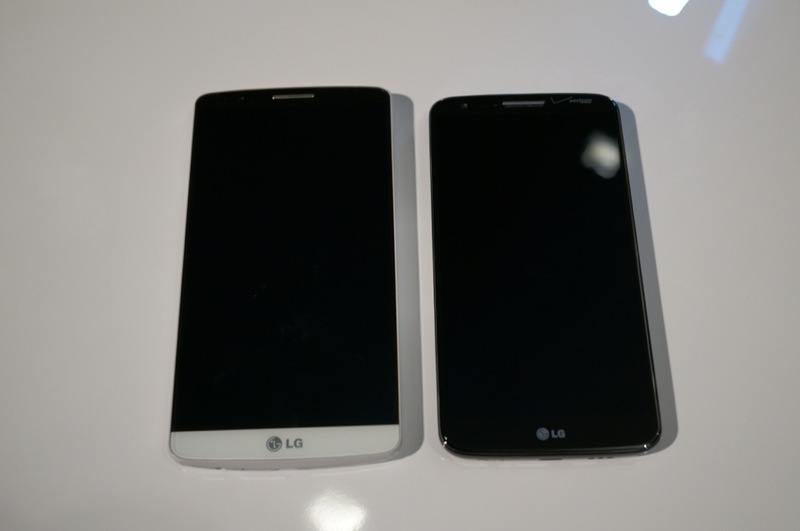 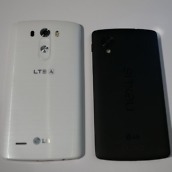 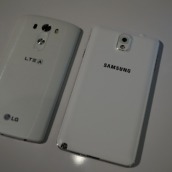 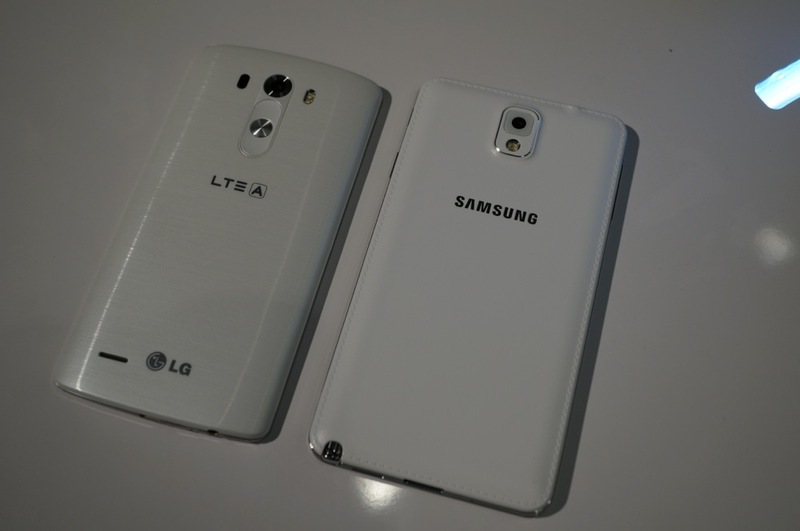 It is slightly bigger than all phones shown, outside of the Note 3 where it is substantially smaller. 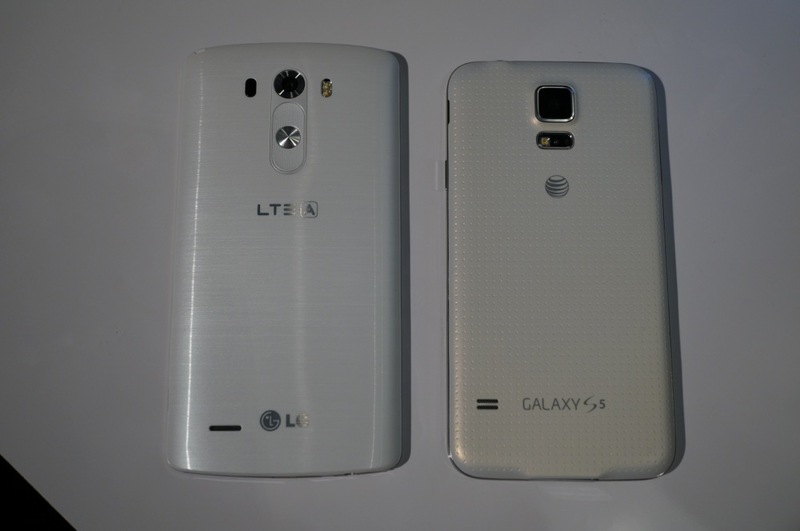 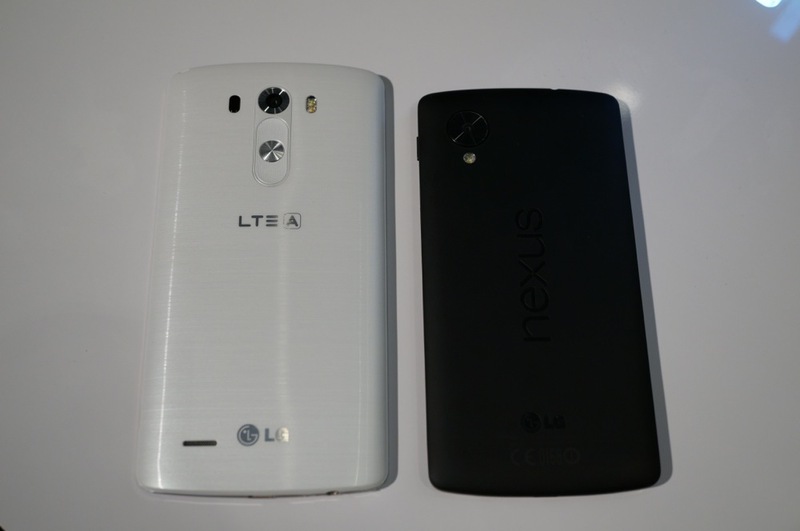 Compared to the Galaxy S5, G2, and Nexus 5, though, it’s not a giant leap up. 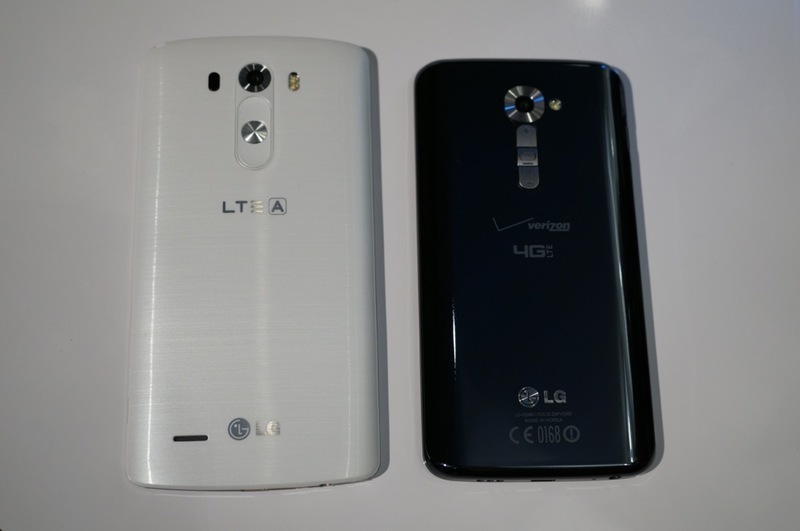 If you can handle those phones, I get the feeling that you can handle the G3 as well. 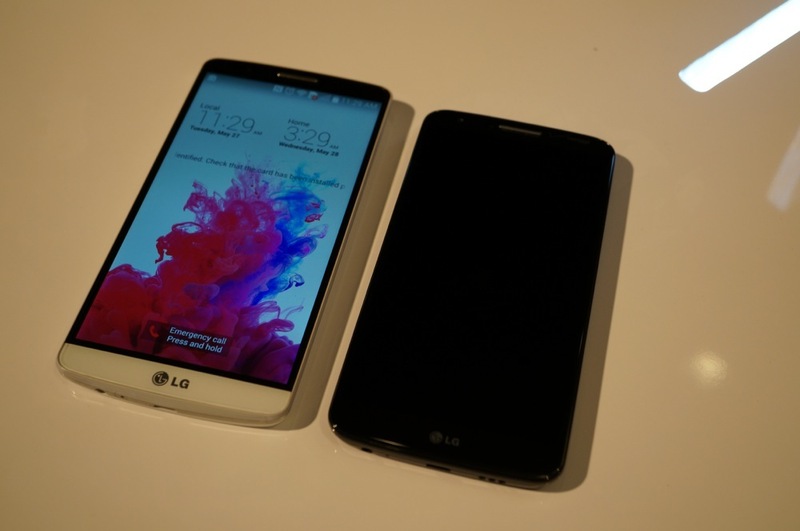 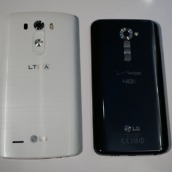 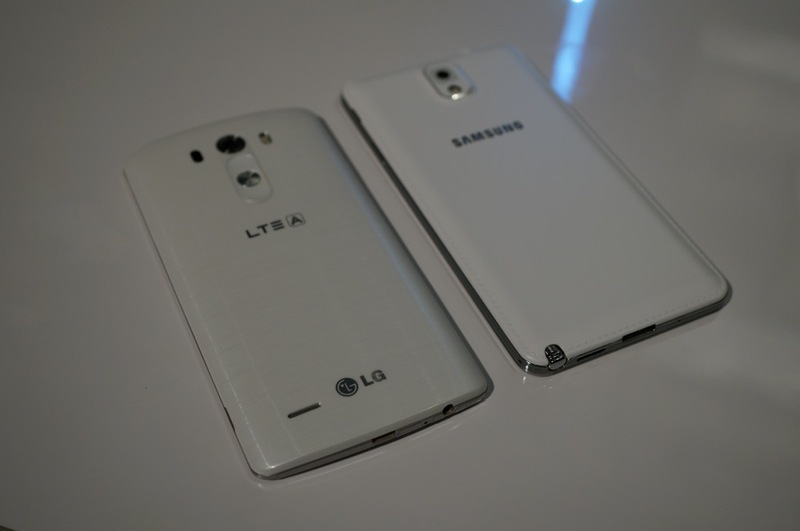 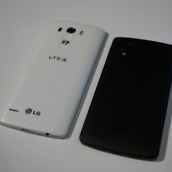 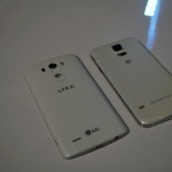 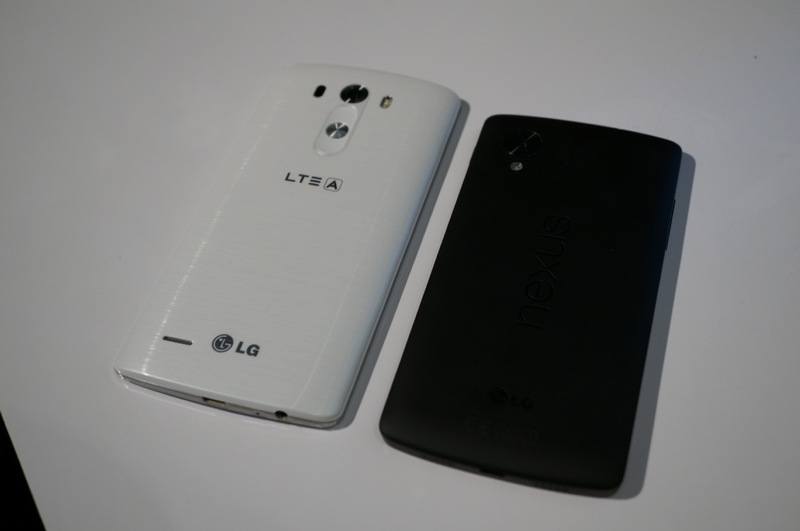 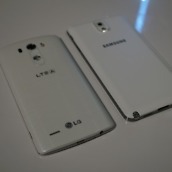 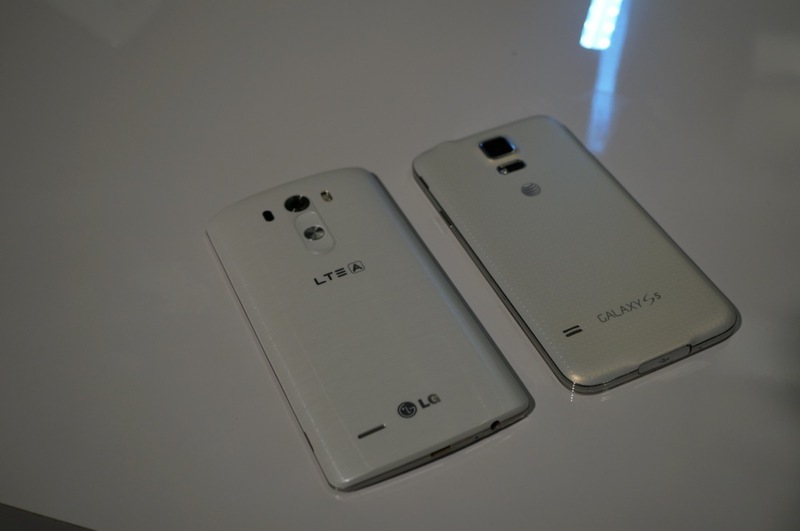 Update: We added a quick comparison of the LG G3 to the HTC One (M8) and the Sony Xperia Z2.